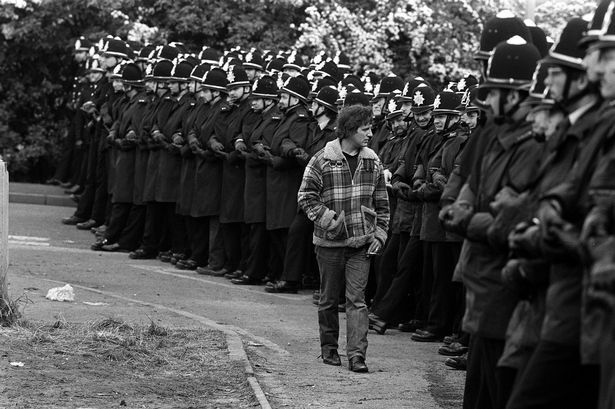 She decided that “her” police force was going to keep the miners and pickets under control. It was all about showing who was boss. In 1974 changes in policing had seen the formation of huge new forces, such as Greater Manchester, West Midlands and Strathclyde. 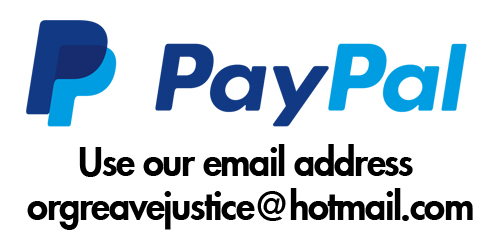 A decade later, the Thatcher government decided to bring them together in a “mutual aid system” to deal with the miners – a nationally mobilised police force working under a central command at Scotland Yard. And it had one of the biggest impacts on the independence of policing because it put chief constables secondary to government wishes. One official guideline said it was “perfectly in order” for miners in Kent to be prevented from travelling to Yorkshire if they were likely to cause disorder – a 300-mile exclusion zone. It was a form of house arrest and it happened in many places with pickets turned back at county borders. No chief constable would have taken such measures on his own. The courts would rightly have called it nonsense. This was a militaristic operation wrapped up in jargon to make it look like policing. It was even based on national emergency legislation designed for wartime situations. But to Margaret Thatcher the miners’ strike was a war. Some chief constables began to see themselves as generals and military strategists. I’d even heard rumours that soldiers were being dressed up in police uniforms to boost numbers. He had no knowledge of it happening and I had to believe him. But I don’t know for sure that it wasn’t happening in other places – that it isn’t just a myth. I don’t want to give the impression that the police became a repressive, aggressive force intent on crushing the pickets. There were excesses on both sides. There was some vicious behaviour by police officers – many of whom were responding to violent attacks on them. I know many officers who never worked again because of the injuries they received. Our relationship with the public had been set back a long way – and in some parts of the country, such as South Yorkshire, it still hasn’t recovered. As police we lost a great deal. We became people to be feared, not respected. 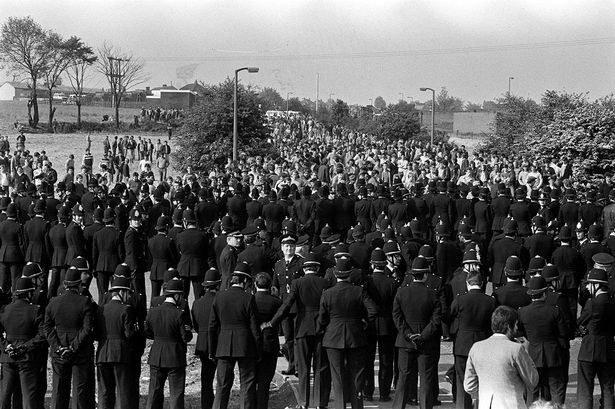 The miners’ strike took us beyond what a police force should be. If it had continued much longer we would have been permanently landed with a nationally-controlled police force. We could have found ourselves living in a police state. I could have quit the job I loved because I knew this wasn’t the right way of doing things. But after the strike I wanted to help build back trust in the police so that young officers didn’t think this was how it should be. A public inquiry should examine the way Margaret Thatcher’s government used the police to occupy communities during the 1980s miners’ strike, a former chief constable has said. Sir Peter Fahy said the police attitudes that caused public outrage last week, following the Hillsborough inquest verdicts, were fostered by events such as the government using officers to crush one of Britain’s bitterest industrial disputes. Fahy retired in 2015 as chief constable of Greater Manchester police, one of Britain’s biggest forces. He said the use of police to serve a political agenda in the 1980s created a “them and us” culture, evident in the police response at Hillsborough. The legacy was still causing damage to the reputation of the police today as well as grief to families on the receiving end, he said. 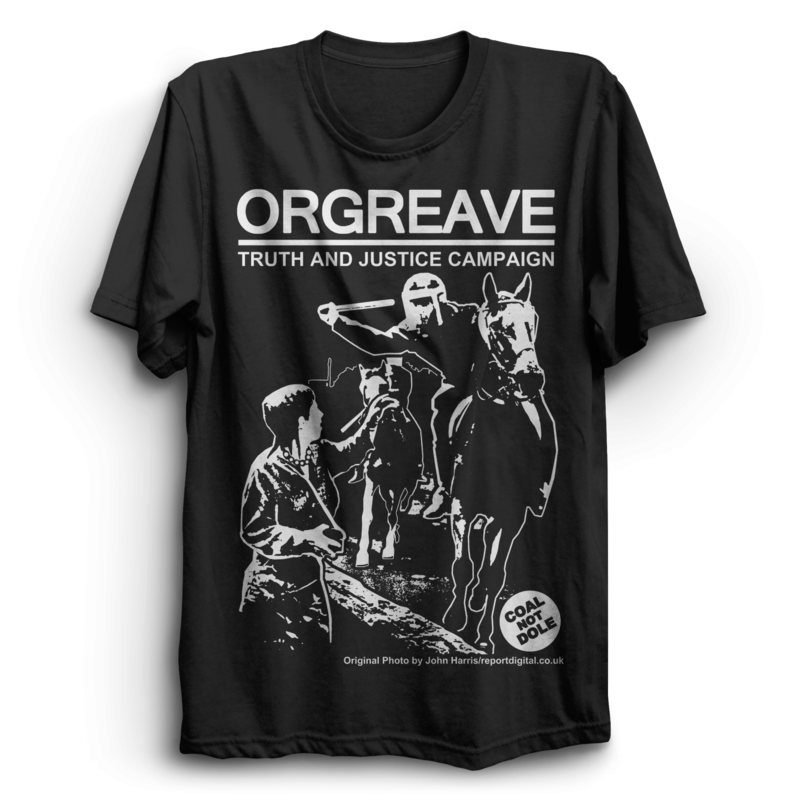 Fahy said: “It’s time for a public inquiry into the policing of the miners’ strike, not just Orgreave and the role of the police, but also the role of politicians. We need to look at the wider context of the way the police were used and the agenda set for them by government. Clearly it was about, in effect, national control of the police, in pursuit of a political agenda at the time. 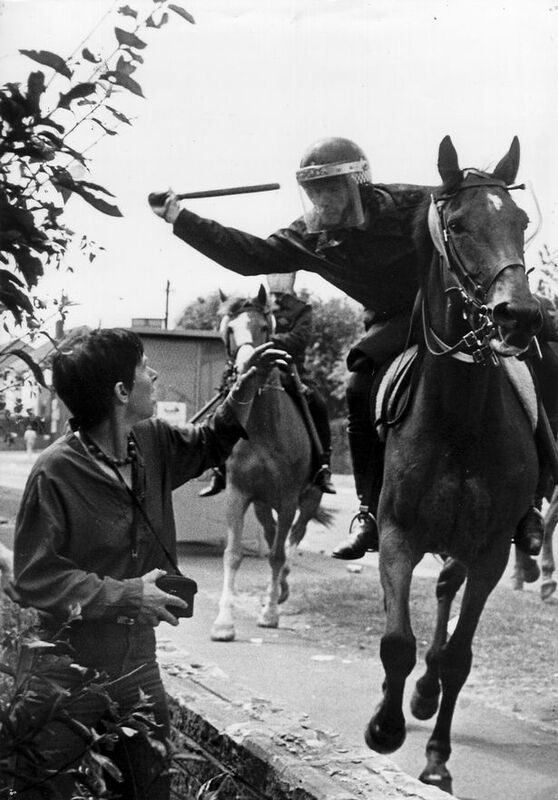 Fahy’s comments came as critics of the police action confronting workers at the Orgreave steel production coking plant in 1984 called on the new interim chief constable of South Yorkshire police to open up the force’s archives. The challenge from the Orgreave Truth and Justice Campaign came the day after Dave Jones, chief constable of North Yorkshire police, marked the moment he took over temporary control of the South Yorkshire force by offering to listen to activists, as well as to the families of the 96 people who died in the Hillsborough football stadium disaster. Barbara Jackson, secretary for the campaign, said campaigners would take up the offer from Jones but said they did not want it to be a token gesture. She said they wanted the chief constable to intervene in their legal effort to persuade the home secretary, Theresa May, to hold a public inquiry into the events at Orgreave 32 years ago. Arthur Scargill, the politician and trade unionist who led the National Union of Mineworkers in the 1984-85 miners’ strike, and was arrested during thedisturbances, has also called for a public inquiry into the events. The rare public intervention by Scargill, 78, came as the Yorkshire Post said it had seen redacted sections of an Independent Police Complaints Commission report that the paper said revealed that the same senior officers and solicitor were involved both in the aftermath of Orgreave and Hillsborough in 1989. The IPCC later said the passage of time prevented a formal investigation but said there was support for the allegation that senior police exaggerated pickets’ use of violence. The commission said on Tuesday it was now considering whether an unredacted version of the report could be made public. The events of the “Battle of Orgreave” at the coking plant on the borders of Rotherham and Sheffield came to symbolise the miners’ strike. Large numbers of pickets were confronted by about 6,000 police from across the UK. 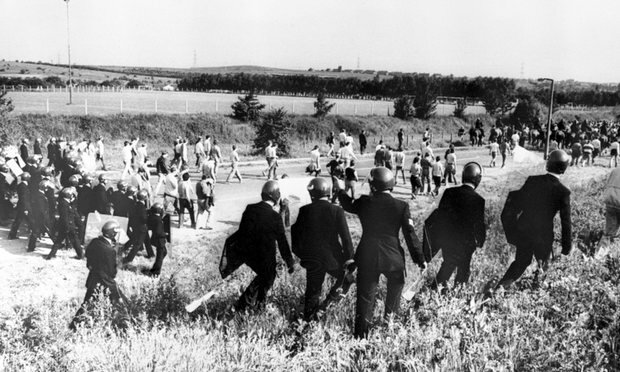 Police charged 95 miners following the disturbances but the workers’ trial collapsed. Virtually all traces of the coking plant and the pit next to it have since been eradicated. The appointment of Jones follows the suspension of the South Yorkshire chief constable David Crompton, following the Hillsborough inquests, and the short-lived tenure of his deputy, Dawn Copley, who stood down from the temporary role after it emerged she was under investigation by her previous force for alleged misconduct.